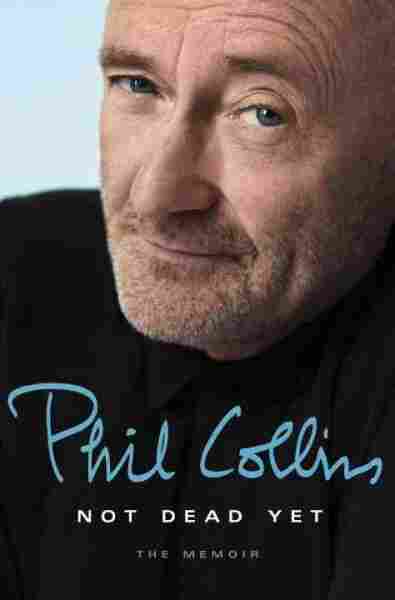 In Phil Collins' New Memoir, Candid Reflections On Family And Fame Collins, whose sound has become musical shorthand for the '80s, has a new book, Not Dead Yet. "Music has given me everything, but it's also taken everything from me," he says. 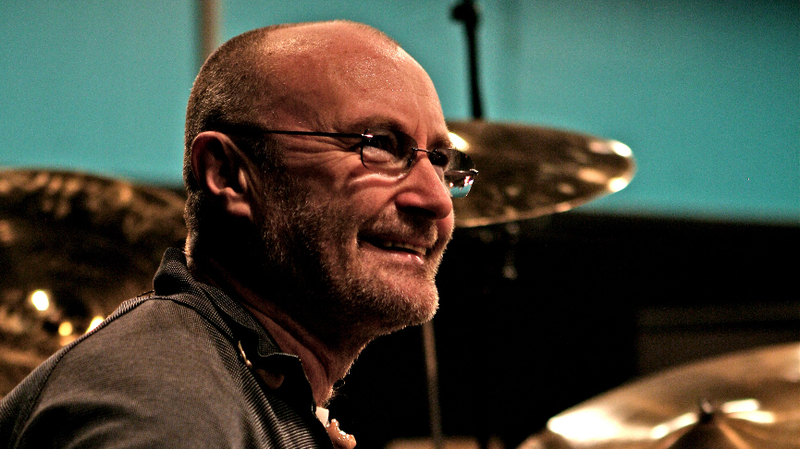 "Basically, my life's the same as everybody else's," Phil Collins says. "You're making it up every day and you're just hoping you're making the right decisions." Only three people in history have sold more than 100 million albums as both a solo act and a member of a band: Paul McCartney, Michael Jackson — and Phil Collins. Collins joined Genesis as the band's drummer in 1970. Five years later, he became the frontman when lead singer Peter Gabriel left. Collins says it was a gradual transition. The band was auditioning singers while working on a new album, but when it came time to record, he ended up with the job. He did not take naturally to the role –- he says it took him two or three years to feel comfortable walking around the stage with a microphone. "I didn't consider myself a real singer," he says. "I was still kind of hoping, in a way, that someone would appear from out of the woodwork and say, 'I'm your guy,' you know? And I could go back to playing the drums." But the singing gig stuck — and Collins later branched out into a solo career. His new memoir, Not Dead Yet, is out now, and he joined NPR's Ari Shapiro for some wide-ranging reflection on his family and career. Hear their full conversation at the audio link, and read on for an edited transcript. Ari Shapiro: Your first big solo hit, "In The Air Tonight" — you describe it as "looking for space" or "looking for room to breathe." What do you mean by that musically? Phil Collins: Well, Genesis got to the point where we'd all write together and then someone would go off and write the lyrics and kind of write the melody that would go over this thing that we'd written. And sometimes, there was a lack of air. It was all very claustrophobic. And I kind of always yearned for the space of an R&B record, you know? So one of the things that I said to myself when I started learning how to record at home was whatever doodles I was writing, I would sing. And then anything else I did would have to work around the vocal. So, something like "In The Air Tonight" is a good example where you have an atmosphere and a vocal, and if I'd have given that to Genesis, it would have gotten a lot busier. Any of the songs I've done have ended up being busy from a production point of view. Certainly some are a little bit busier than others — I mean "Sussudio," you know, it's got all those horn parts. You write about the great timeless music that attracts you — the jazz, the R&B. Many people strongly associate your music with a particular time. I wonder whether you are proud of being a voice of a particular time or whether you're still trying to be the timeless artist that you admire so much in others? There was a time when I wasn't particularly happy about being the whipping boy for the '80s — which I didn't think I necessarily deserved, because I always say, you may have heard "Sussudio" a hundred thousand times, but I only wrote the song once, and I only recorded it once. The fact that people play it is not really my fault, you know? The relentlessness of your pace of work over decades is pretty incredible, to the point that when you describe being diagnosed with partial deafness in one ear in 1998, you say that it was actually a relief. Yeah. It's a strange thing, but you kind of feel that you become a slave to the thing. And there was this kind of strange relief that I was suddenly gonna be able to regain control of my life. Then, of course, eventually the brain adjusts and you can — I mean, my hearing is still dodgy in one ear, but I can sing. And so I went and did the last tour — the goodbye tour, if you like. The "First Final Farewell Tour." Except that now you've announced another farewell tour. Well, I was deadly serious, because I wanted to be at home for my two young sons. But now I live with them. And I did some charity shows this year for the foundation, Little Dreams Foundation, and, we played a short set — six or seven songs. And I came off and I'm thinking, "Well why aren't I doing this?" It seems from the book that one reason you stopped doing it was that you weren't happy with the person you'd become. You describe dating a woman and asking her to call you Philip, because you didn't like who Phil Collins was. Well, Phil Collins was starting to get a bit messy. There can't really be too many people out there listening that have been married three times, divorced three times and got five children — and not live with any of them. I was getting very tired of this, and I just decided to shut up shop. You've been very honest about your struggles to make marriages work, your struggles to be there for your children. And on the other side of the ledger, you're one of the most successful artists of music history: entertaining millions of people, selling hundreds of millions of records. How do you weigh the tally? Yeah, you know, "Let's go kill 'em." And you tend to forget that you do have choices, decisions to make. And it's great and I'm very proud of it, but when I say that music has given me everything but it's also taken everything from me, that's the way I would describe it. Would I do anything different? I don't think I would, no. And I sympathize with my older children — my two oldest, Simon and Joely — that when I say I wouldn't do anything different, Joely said to me, "Does that mean you wouldn't have tried harder with Mum or what?" But then if that had happened, then I wouldn't have Nicholas and Matthew. And also you wouldn't have those great heartbreak songs! [Laughing] Yeah. Speaking commercially, I definitely wouldn't change anything. But as a human being, I've gotta say I wouldn't change too much. There's maybe a few things that I said yes to I would've said no to if I had a second chance. But basically, my life's the same as everybody else's, you know. You're making it up every day and you're just hoping you're making the right decisions.